For any members visiting Suffolk. Now there is a club event to the David Silver Museum in Suffolk on the 9th June. 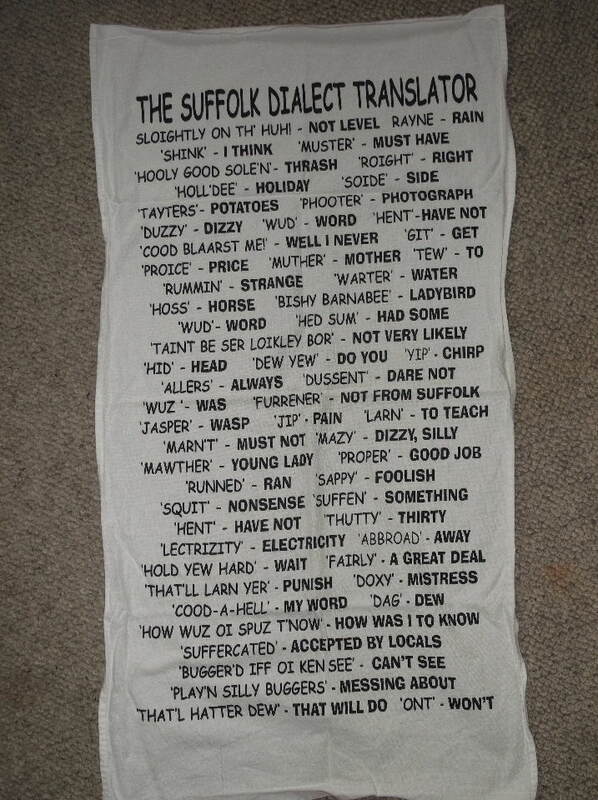 Now for the folks who have never been to Suffolk we speak a bit funny, so here is dialect translator. Now if you go to Norfolk they are not the same. You have been warned. Re: For any members visiting Suffolk. I visit often, but not often enough, go so understood most but--- MAWTHER ? Check out the club meet in June, Southwold Pier for breakfast before David Silver, so you can practice the words. Details as always on the Events tab. I think that one is right out in the sticks. I was looking forward to club meet George but I am away that weekend. The week before and after I could do but not that one.